SAVANNAH, Ga., January 28, 2008 – Gulfstream Aerospace, a wholly owned subsidiary of General Dynamics (NYSE: GD), has become the first Part 25 Original Equipment Manufacturer (OEM) to have a synthetic vision system certified by the Federal Aviation Administration (FAA). In the closing days of 2007 and early in 2008 the FAA not only certified the Gulfstream Synthetic Vision-Primary Flight Display (SV-PFD) system but also certified Gulfstream's second generation Enhanced Vision System (EVS) II. The certifications are approved for applications on Gulfstream G350, G450, G500 and G550 business jet aircraft. As a result of these certifications, Gulfstream is also the first OEM to provide its customers with both enhanced and synthetic vision systems. The Gulfstream SV-PFD displays three-dimensional, color terrain images that are derived from data stored in the Honeywell Enhanced Ground Proximity Warning System (EGPWS). The Gulfstream EVS II provides actual, real-time images detected by an infrared camera mounted to the nose of the aircraft and viewed by the pilot on the Head-Up Display (HUD). Additionally, the EVS II confirms the validity of all of the terrain and airport images projected on the SV-PFD. The original Gulfstream EVS, which was first certified by the Federal Aviation Administration on Sept. 14, 2001, incorporates a specially designed forward-looking infrared (FLIR) camera that projects an infrared real-world image on the pilot's Head-Up Display (HUD). On even the darkest of nights, pilots using EVS can clearly see a mountain range, a runway or any aircraft or vehicles on taxiways. The new EVS II is 22 pounds lighter, has four times the computational power and four times the memory of the original EVS. New to EVS II is an improved maintenance interface within the Gulfstream PlaneView ® flight deck. The EVS II hardware components are produced by Kollsman Inc., a leading manufacturer of avionics and electro-optic equipment. SV-PFD is a dramatic enhancement to the Gulfstream PlaneView ® flight displays. It features a three-dimensional color image of terrain overlaid with the primary flight display instrument symbology, which are arranged on the screen to create a large view area for terrain. Combining previously certified terrain data from Honeywell's EGPWS with obstacle data, and using a new state-of-the-art graphics processor, SV-PFD accurately depicts terrain, obstacles, runways and approaches at locations throughout the world. SV-PFD is expected to be available to customers in the second quarter of 2008. In addition to its activities in EVS and SV-PFD, Gulfstream is working closely with Rockwell Collins on HUD-II, a Head-up Guidance System (HGS) that presents critical flight information in the pilot's forward field of view. Compatible with EVS-II and integrated with PlaneView, HUD-II features an all-digital display that allows the pilot to see an integrated display of flight information and an infrared image from EVS-II in almost all weather conditions, thereby enhancing situational awareness and improving touchdown precision. Modular in design, HUD-II uses liquid crystal display technology and a bright light-emitting diode (LED) backlight to display real-world images and flight symbols on the HUD Combiner. Gulfstream Aerospace Corporation, a wholly owned subsidiary of General Dynamics (NYSE: GD), designs, develops, manufactures, markets, services and supports the world's most technologically advanced business-jet aircraft. Gulfstream has produced some 1,600 aircraft for customers around the world since 1958. To meet the diverse transportation needs of the future, Gulfstream offers a comprehensive fleet of aircraft, comprising the wide-cabin, high-speed Gulfstream G150 ®; the large-cabin, mid-range Gulfstream G200 ®; the large-cabin, mid-range Gulfstream G350 ®; the large-cabin, long-range G450 ®; the large-cabin, ultra-long-range Gulfstream G500 ® and the large-cabin, ultra-long-range Gulfstream G550 ®. Gulfstream also offers aircraft ownership services via Gulfstream Financial Services Division and Gulfstream Pre-Owned Aircraft Sales ®. The company employs more than 9,100 people at seven major locations. 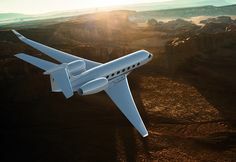 We invite you to visit our Web site for more information and photos of Gulfstream aircraft at www.gulfstream.com. General Dynamics , headquartered in Falls Church, Va., employs approximately 83,500 people worldwide and reported 2007 revenues of $27.2 billion. The company is a market leader in business aviation; land and expeditionary combat systems, armaments and munitions; shipbuilding and marine systems; and information systems and technologies. More information about the company is available on the Internet at www.generaldynamics.com.